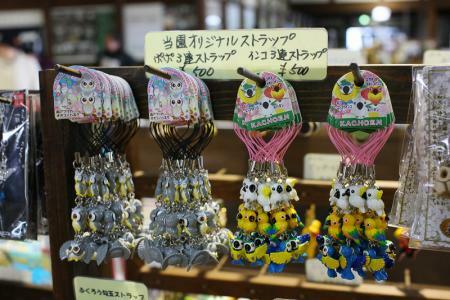 Today, December 25th, we show you two items that the souvenir shop in the Garden started selling recently. 12월25일 오늘은 최근 원내에서 새로 판매하게 된 두가지 상품을 소개드리겠습니다. First, stuffed doll of Popo the White-Faced Scops Owl. The shop designed the it and asked a maker to produce it. Designed by people who know some of actual owl, the features of owls, i. e. big red eyes, dark-edged face, grey body etc., are well realised. 첫번째의 것은 뽀뽀쨩의 인형입니다.당원의 매점에서 기획하여 생산회사에 부탁해서 만든 제품입니다.아프리카소쩍새에 대해 잘 알고 있는 스탭이 기획한 것이라 빨간색의 큰눈,얼굴 양쪽의 까만 변두리,회색의 몸 등 아프리카소쩍새가 갖고 있는 특징이 갖추어져 있습니다. 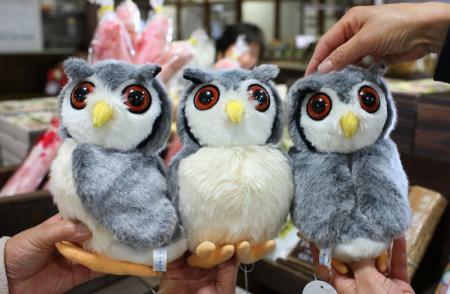 It is 1,800 yen each. I picked up three. Some other features, long hairs around yellow beak, two fingers in front and three in the back, are well realised. 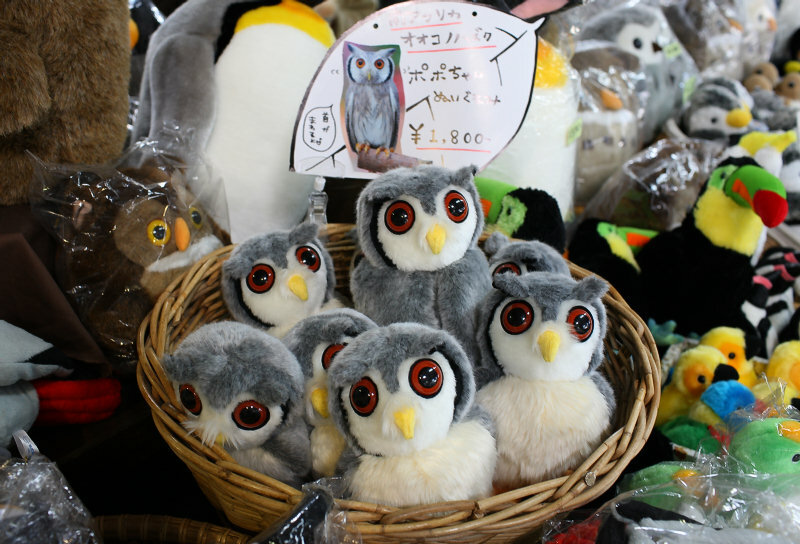 And they are designed cute! 세개를 배렬해 보았습니다.자세히 보면 노란색주둥이변두리에 긴수염,발가락이 앞에 2개,뒤에 두개 등 특징이 제대로 갖추어져 있어 볼수록 귀엽습니다. 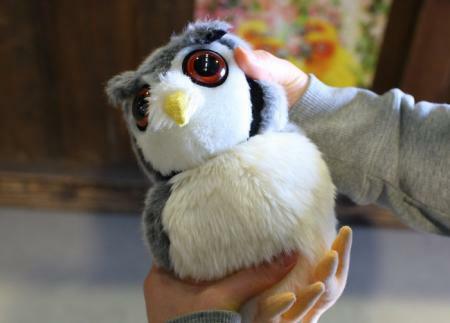 This doll has a neck that turns 360 degree. 이 인형은 목이 360도 돌수 있습니다. 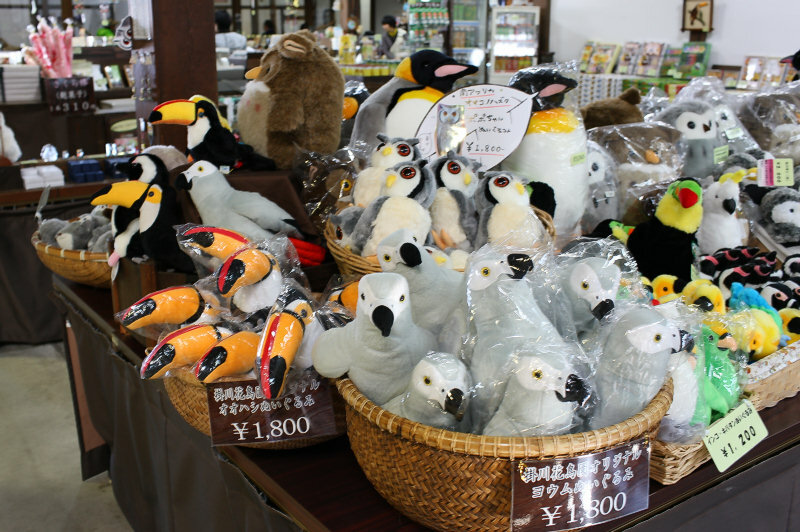 The shop sells some other stuffed toys of various birds, Toco Toucan and Grey Parrot for example, including some original products of the Garden. 이 외에도 토코투칸,잉꼬 등 당원의 오리지널제품을 포함한 여러가지 새인형이 있습니다. 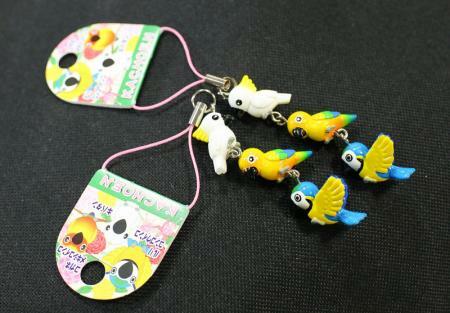 Second, lanyard of parrots. Sulphur-Crested Cockatoo, Sun Conure and Blue-and-Yellow Macaw is arranged in a trio. 또 하나는 잉꼬의 핸드폰고리입니다.노란관앵무,태양황금앵무,청황마코앵무 세마리로 만들어 졌습니다. Again, its design and colouration are based on observations of real birds. 이것도 실제의 앵무새를 관찰하여 색을 들인 것입니다. It costs 400 yen each. The shop sells it at the corner of lanyards, together with a lanyard of three White-Faced Scops Owl. 이 핸드폰고리는 하나에 400엔입니다.매점의 고리코너에 뽀뽀쨩의 핸드폰고리와 같이 놓여져 있습니다.